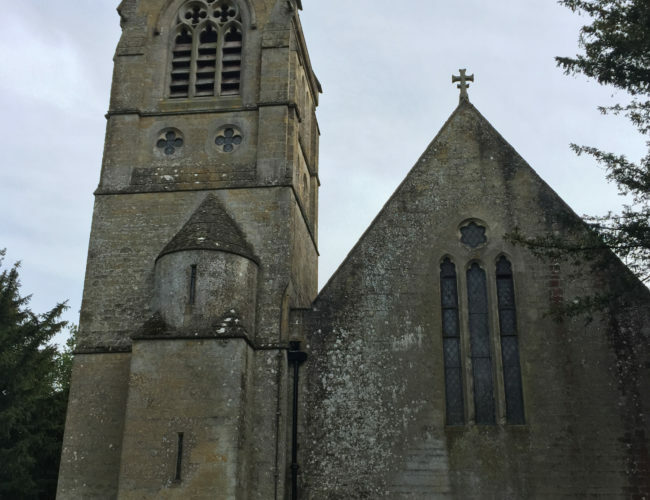 In the 1850s a new parish was formed at Little Tew, partly to combat non-conformism. 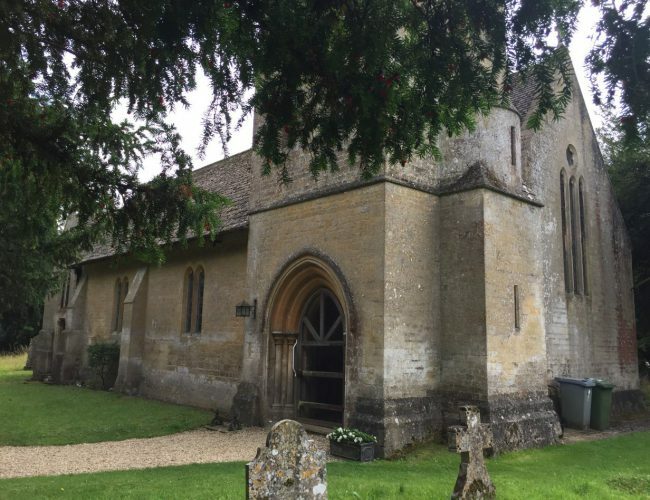 The Curate of the time at Great Tew, Keegan Paul, commissioned G.E.Street, later to become one of the leading architects of the Victorian church, to design a “very pretty church”. The was completed and the first Vicar appointed in 1858. This was the Revd. Charles Garrett, who expanded the church by adding a north aisle and organ, and there are many monuments around the building to the Garrett family. The most noticeable is the stained glass East window, with typical Passion motifs and lush, brightly coloured glass. The church has a stepped Victorian font, a carved stone pulpit, lovely 19th century tiles, and a vaulted timber roof. The interior is pure Victoriana in the best possible sense. There are two or three services a month at St John The Evangelist. Times vary so please check the calendar if you wish to attend a service at the church. 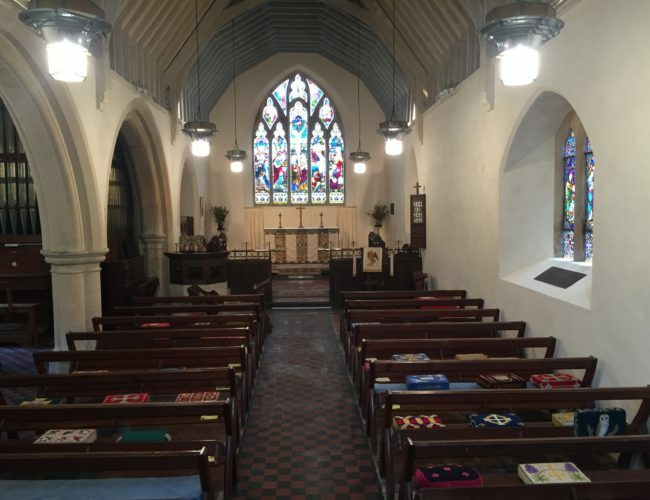 Services are occasionally Book of Common Prayer (Holy Communion), usually at 8.30 and Parish Eucharist, which lasts for around one hour with hymns and a sermon. There is currently no Sunday School at Little Tew. The church has special services including a village Harvest Festival in October and Christingle Service before Christmas. On Good Friday there is a children’s service and creation of Easter Gardens, and the Benefice Good Friday Watch by the Cross is held here. The church is located in the centre of the village, set in a small churchyqard. It is open to visitors for services and during the week. It is open every day from 9.30 until around 17.00 or dusk in winter. Parking is available on the road as there are no parking restrictions.